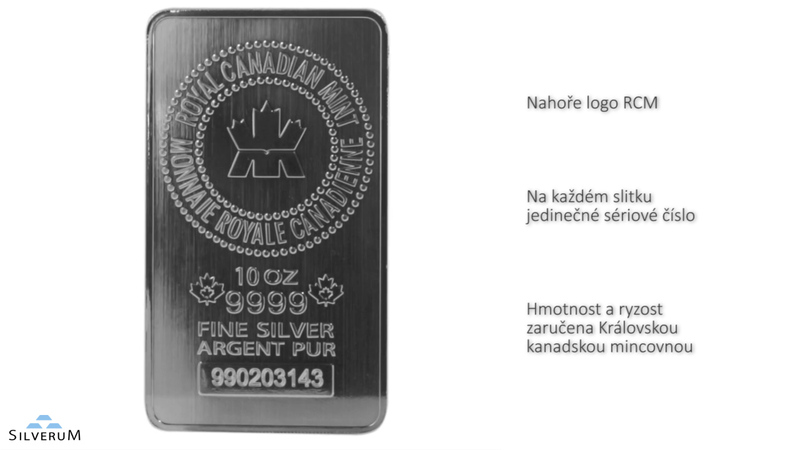 Royal Canadian Mint features a new design for their Silver bullion with each Silver bar having reeded edges and a unique RCM bullion finish. Obverse side: RCM logo, weight and purity + an individual serial number to ensure authenticity. Reverse side: A repetitive stamp of the RCM logo across the entire bar.